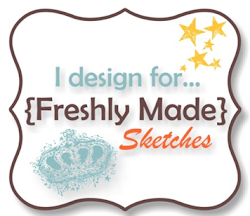 It’s Wednesday, so that means a new sketch challenge at Freshly Made Sketches. Our sketch hostess this week is the amazingly talented Jen Mitchell. Our team have created seriously gorgeous cards to inspire you, so head over to Freshly Made Sketches and check them out. Love how you tucked the flowers behind the sentiment! And I have yet to use that DSP! 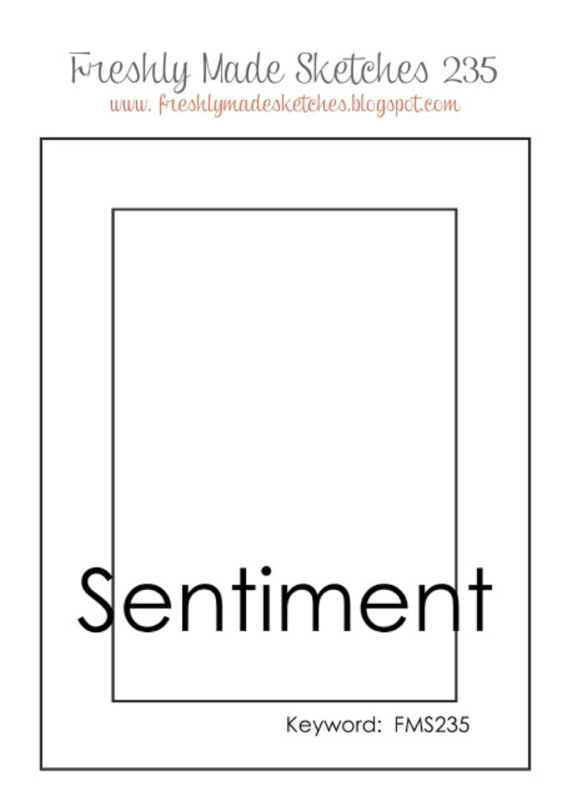 Looks wonderful here….beautiful card! Soft and pretty. Love the colors. Love, love, love this! The DSP on the background is fabbo. And I love the twine and the beautiful flowers! 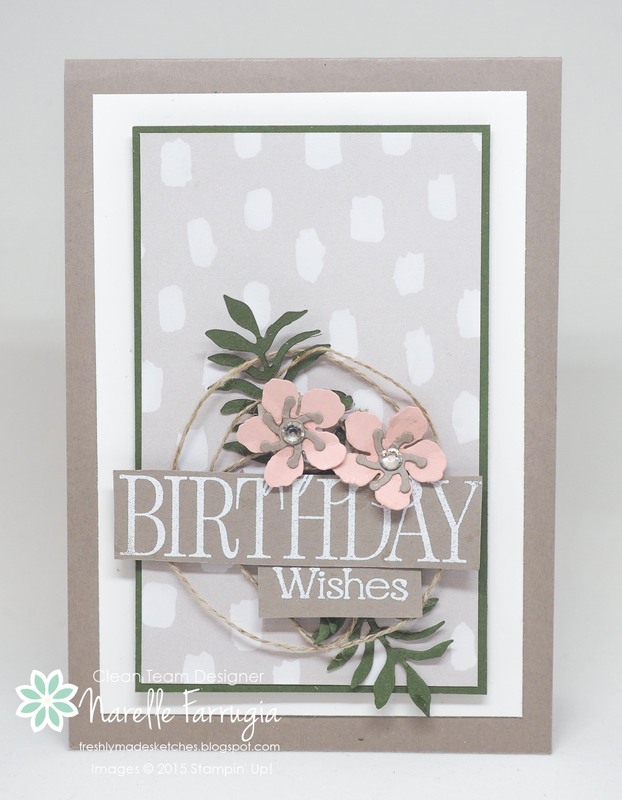 Beautiful card, beautiful colors and beautiful die cuts! Oh, I love this card. Those flowers, I love those flowers! You’re really making me want to order them!!! I love the embossed sentiment as well! Such soft colours! The hint of green looks fabulous! Beautifully done! Oh my goodness….this is stunning. So soft and subtle but still so amazing!!! This is so, so pretty, Narelle! The sweet little bouquet looks fabulous against the DSP that you choose. And, as always, your details shine!